PHILL JUPITUS began his performing career in 1984, when he quit working in a job centre to become a performance poet, rising to prominence supporting such artists as Billy Bragg, The Style Council, and The Housemartins. 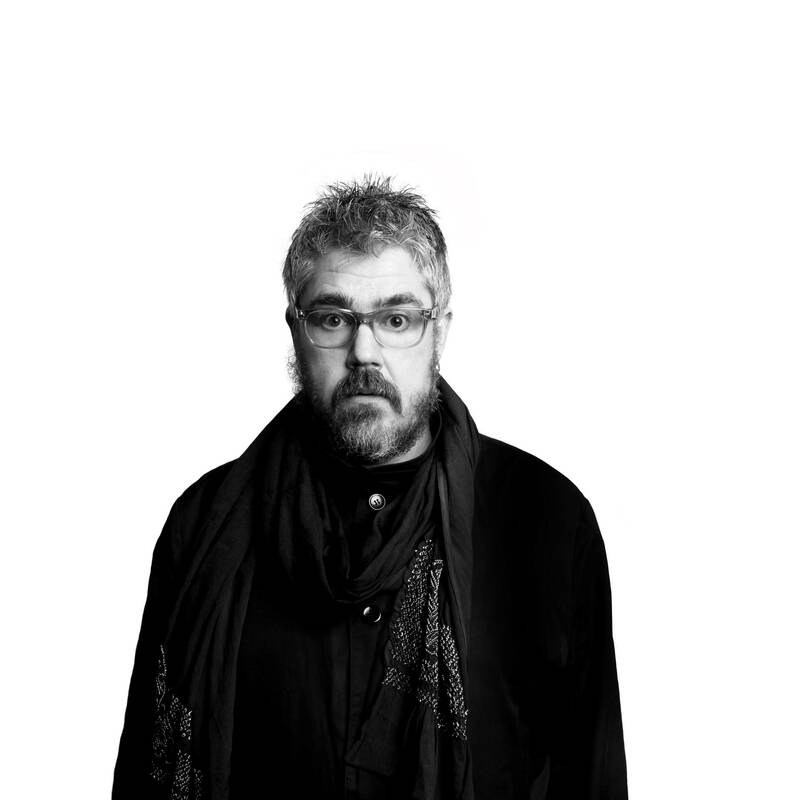 In the 90’s, his poetry turned into comedy, and JUPITUS started performing at stand-up gigs all over London and the UK, going on to earn himself a Time Out award in 1994. JUPITUS became a familiar face with his big TV break in 1996, when he became a regular team captain on BBC2’s Never Mind The Buzzcocks. JUPITUS has hosted his own show on BBC GLR, became the breakfast DJ on 6 Music, and a regular guest on BBC2’s QI and the award-winning The News Quiz. He has presented various radio documentaries, along with gracing the West End stage as an actor. His live stand-up shows have taken him on several tours throughout the UK and beyond: Jedi, Steady, Go (1996), Quadrophobia (1999), and You’re Probably Wondering Why I’ve Asked You Here (2014). In 2017, JUPITUS returned to comedy with tours of Australia, New Zealand, Europe, the Highlands & Islands of Scotland, and, after a four-show-a-day run at the Edinburgh Fringe, began a tour of his most recent show, Sassy Knack, where JUPITUS shares yarns and thoughts from his time north of Hadrian’s Wall since moving to Scotland. Don’t miss your chance to watch in delight and/or horror as this experienced funnyman drags laughs out of the chaos of his own life. Join us for over an hour of tales, laughs, and diversions. Your only disappointment will be when the show ends. VIP includes early and priority line entrance, front seats with table, 2 drinks and meet and greet with Phill Jupitus after the show.